CAST STEEL ANGLE STORM GLOBE VALVE. BUTTERFLY VALVE LUGGED TYPE GEAR OPERATED. 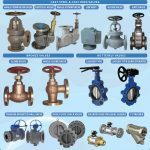 We are a professional valve supplier in marine, oil & gas, e&p, petrochemical, chemical, mining / minerals, power plant, marine and industrial markets. our jis valves selection includes gates, globes, angles, vent head, storm. the pressure classes are 5k, 10k, 16k, 20k, 30k, and 40k. materials include bronze, cast iron, ductile, cast steel, forged steel, stainless steel, and other alloys upon request. Material and class certification are available upon request. We specialize in marine valve according to the standard JIS, DIN, ANSI. Please find the mail below as per the sr no.